The word dosirak has a number of meanings in Korean. The word can mean any meal packed to be carried, the container specially designed for carrying packed lunches, or a Japanese style bento. However, in recent years the word has become almost synonymous with factory produced, ready-to-eat meals on offer at the convenience stores that occupy every nook and cranny of major Korean cities. “Young men seem to pick these up a lot more than young women. I think it might be because there are a lot of people living alone around the area,” a convenience store clerk in Goyang, Gyeonggi Province said, declining to be named. The store is the third convenience store he has worked at over the past two years, he said, adding that packaged meal sales seem to differ depending on the location. Companies that operate convenience store chains offered similar views. According to BGF Retail, the operator of the country’s largest convenience store chain CU, packaged meal sales have soared in recent years, becoming one of the highest selling items in the company’s inventory. In 2015, the company saw packaged meal sales jump more than 65 percent from the previous year, and by 168.3 percent in 2016. Although the growth rate dipped from the following year to 7.7 percent, and by 19.1 percent during the first six months of this year, the company expect sales to continue rising. 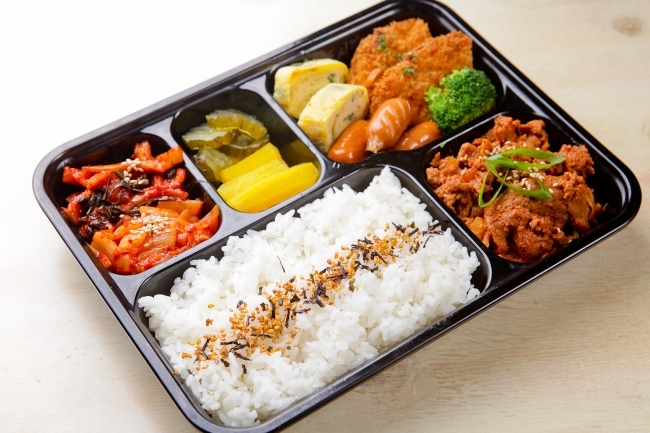 “Due to the increase in one-person households, packaged meals are becoming more popular to the point of setting new sales records each year,” Cho Sung-wook, head of the company’s ready-to-eat meal division. Convenience store operators have been attempting to cash in on the rising demand, offering more variety and investing in making products that appeal more to the palate, which in turn further fed the demand. In 2015, BGF Retail established a research center that develops new products, down to the seasoning and sauce. While GS Retail, the operator of GS25 convenience store brand, set up a research and development center dedicated to developing processed foods marketed through its retail stores in 2013. The result is the vast range of packed meals, from simple rice and banchan affairs to seasoned rice with lobster meat packaged in a lobster-shaped box. Despite the increase in variety, some consumers say that there still isn’t enough compared to other countries. “In Japan, there is so much variety in packaged meal types as well as in terms of price range,” Choi Su-ji, a Korean who lived in Japan for about five years, said.